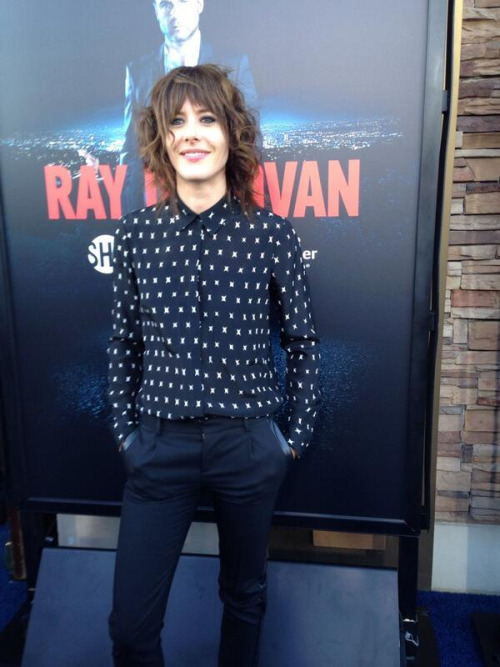 Kate Moennig is someone whose style I have admired for quite a while now. The fact it isn't too feminine and not too manly it is basically the perfect mix for me. I have said in the past how I am far from girly however from time to time I like adding a feminine touch to my outfits. Here are two of my favourite looks by Kate, that I can't wait to try recreate. First up is the leather jacket / blazer open over a loose fitting t-shirt paired with some boots and skinny jeans. This has been one of my favourite looks for a while. At the moment I wear a cheap blazer with a round neck t shirt and converse. 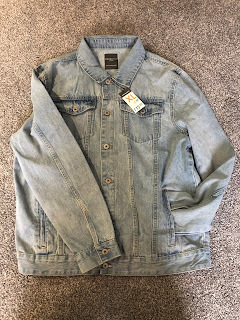 However I am hoping to save up for a good quality blazer once I have lost some weight and also some good quality skinny jeans. Shoe wise I am sick of wearing my converse day in day out so I am looking for some boots to finish the style. I also love the way she wears the long necklaces just to add a bit extra to an otherwise basic look. The outfit is perfect for a smart casual day or even if you are heading for a bit of a casual night out. Maybe if you are heading to a concert or a night in the pubs. At the moment I will only wear round neck tops as I hate the skin on my chest but I am working on that so hopefully I can fully recreate the outfit one day. Another look I love that Kate often goes for it the shirt and dress pants. This look to me is perfect for things such as meetings / events or those parties that require a little more effort but not too over the top. The pattern shirt makes the outfit stand out whilst still looking smart and the pants add a smarter look than jeans would. I am hoping that once I loose weight I will be able to get some nice fitting trousers and shirts to try pull off a look like this when I head to a wedding later in the year. I also love how the colours always go together as at the moment I am a nightmare and literally just throw any combination together. Kate's style is one I am really aiming for due to the easiness of the look. It isn't one that will take hours to perfect. It is also a look that you can make more feminine if I am in that mood. I am hoping in the next few months once the weight has started falling I can start piecing together outfits just like these. Do you have anyone whose style you admire? Let me know in the comments below.